We are looking to hire more talented professionals to join us at the Just Temptations. We invite you to apply for the following job positions. Please apply accordingly. We’ll get back to you if seems like a good fit. Please send your resume with the form. 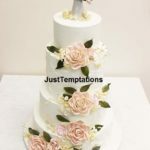 Decorate cakes and pastries using different icings, toppings etc. Responsible for the daily production (baking and decorating) of high quality food in the Pastry Kitchen. Responsible of baking, assembling, masking and decorating Wedding, Birthday Cakes, Specialty Cakes, etc.pastries. 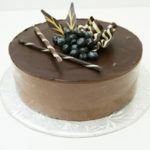 Ability to work well with others, provide direction to staff, and shows leadership in the absence of Head pastry chef. Ability to work in a fast paced environment and multi-task as required. Able to work multiple phone lines. Forethought and initiative are crucial, a quick thinker that does not wait to be told what to do. 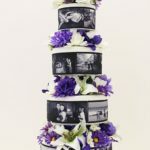 Delivery and set up of wedding cakes at area locations including, décor. Punctual and reliable in order to deliver goods at clients requested times. Drives truck in a safe manner at all times. Receives orders in a professional manner. Report maintenance problems to the facilities manager or supervisor. Follows all safety regulations and precautions.